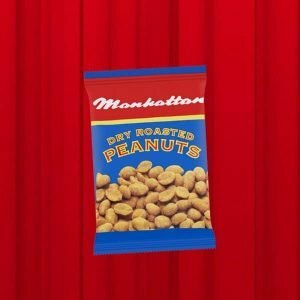 We do our NUT to Please! Ireland’s favourite flavours combined into one box. The finest and freshest whole potatoes all wrapped up for the perfect crunch. 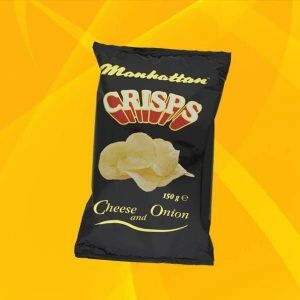 Manhattan Cheese/Onion & Salt/Vinegar Crisps are simple and true with no complicated recipes or added ingredients … just rich in flavor and intensity. 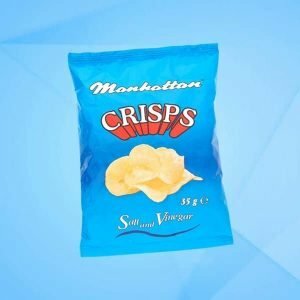 Slightly sweet spuds laced with a fair shake of vinegar, Manhattan Salt and Vinegar crisps pack a good punch. A balanced, old-school salt and vinegar crisp. The deliciously crunchy crisps are rich in flavour and intensity, but with a with a bit more natural sweetness… an addictive balance. 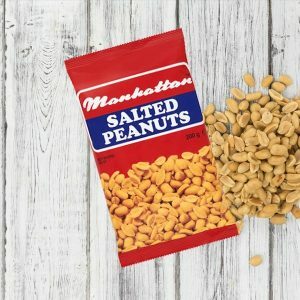 Ideal for a snack on-the-go and becoming the nation’s favourite accompaniment to a sandwich. We keep it simple, why meddle with perfection! 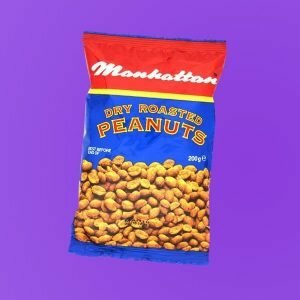 In a nutshell, peanuts are hands-down the world’s most popular snack! 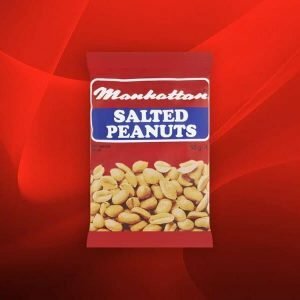 Manhattan Salted Peanuts are gently roasted using rapeseed oil and then salted to perfection bringing out their delicious full flavour. 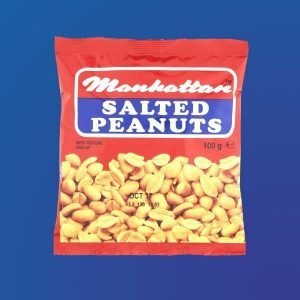 Here at Manhattan, we are the pickiest peanut perfectionists and ensure only the tastiest, freshest peanuts make their way into our bags. Comes in 2 different weights. 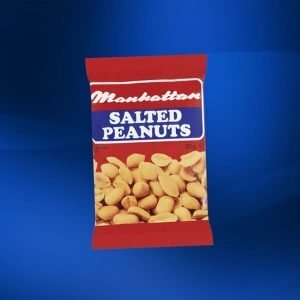 Card / Box of 30 Packets – Each Packet is 30 Grammes – 900 Grammes in Total. 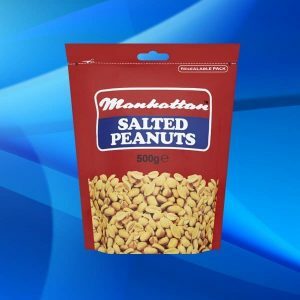 Card / Box of 20 Packets – Each Packet is 50 Grammes – 1000 Grammes in Total. 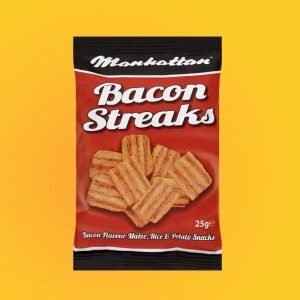 When hunger strikes, enjoy a packet of Manhattan Bacon Streaks. Crunchy and full of tasty goodness – not one for sharing! 12 Packets x 25 Grammes in each order. Ireland’s best loved cheesiest, poppiest popped corn. 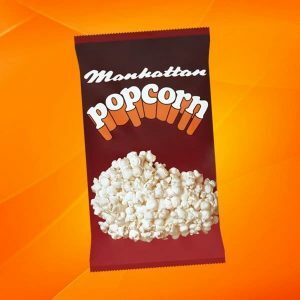 Manhattan White Cheddar Cheese Popcorn is fresh and crunchy and well coated with a sharp, salty-creamy white cheddar cheese flavour. 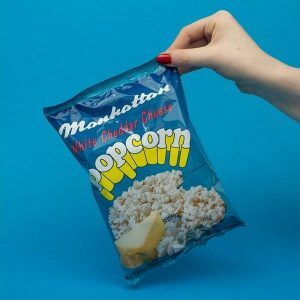 Our White Cheddar Cheese Popcorn is wholegrain and much lighter, tastier and healthier than most cheese snacks but very morish … so be warned! Comes in a case of 40 Packets. 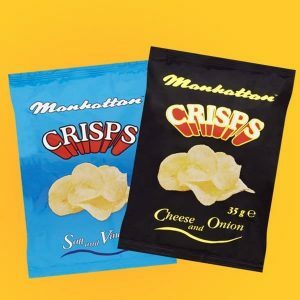 Each packet is 30 grammes – Total of 1200 Grammes. 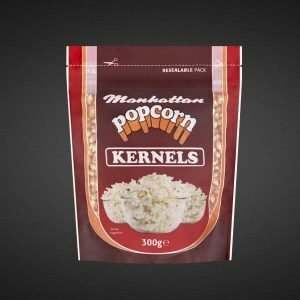 Ireland’s best loved popcorn comes from premium quality corn and is popped to perfection. 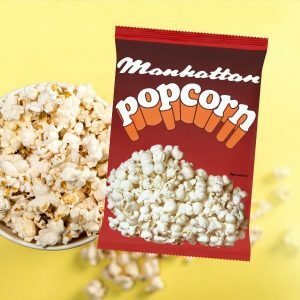 The subtle salt flavour brings a perfect fresh salted popcorn experience. 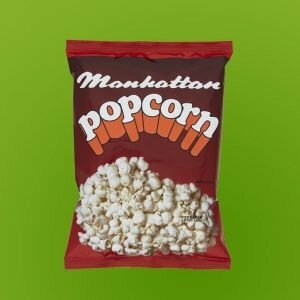 Manhattan popcorn is the original and the best. 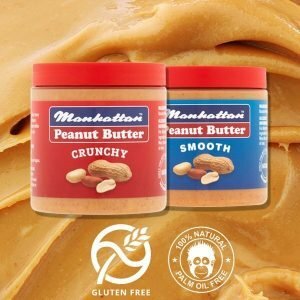 It is a whole grain, low in fat and it is also Gluten free, GMO free, cooked in Coconut oil and suitable for vegetarians and vegans. 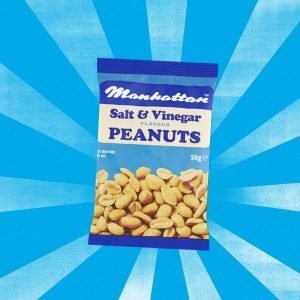 Slightly sweet spuds laced with a fair shake of vinegar, Manhattan Salt and Vinegar crisps pack a good punch. A balanced, old-school salt and vinegar crisp. The deliciously crunchy Salt & Vinegar flavoured crisps are rich in flavour and intensity, but with a with a bit more natural sweetness… an addictive balance. Ireland’s favourite flavour and the finest and freshest whole potatoes all wrapped up for the perfect crunch. 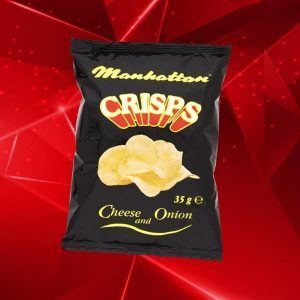 Manhattan Cheese and Onion Crisps are simple and true with no complicated recipes or added ingredients … just Cheese and Onion rich in flavor and intensity. 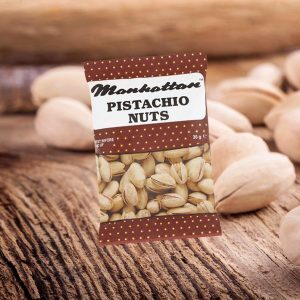 Ideal for a snack on-the-go and becoming the nation’s favourite accompaniment to a sandwich. We keep it simple, why meddle with perfection! 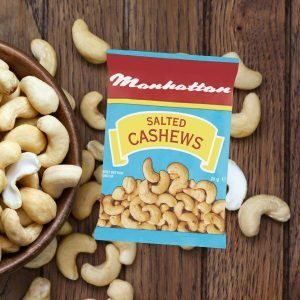 Mildly sweet and ultra-buttery, Manhattan Salted Cashews are the cream of the crop. 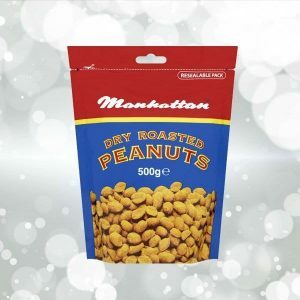 Cashew nuts are freshly roasted to perfection and then slightly salted to enhance a truly delicious taste. They are a good source of protein and fibre. Enjoy them straight out of the bag, or top salads with them for a healthier alternative. Feeling Hot Hot Hot! 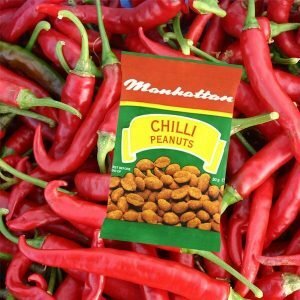 Manhattan Chilli Peanuts with a crispy chilli flavour offers a sweet satisfying heat. Packed with nutrients and taste, they are high in fibre and a good source of protein but seasoned with exotic flavours you can’t ignore. Be warned… they might just bring out the devil in you! The ultimate indulgence – sweet and savoury in one delicious mouthful! 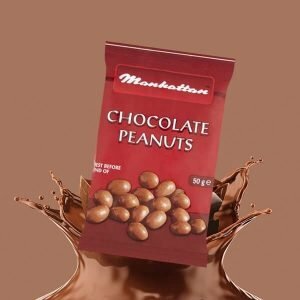 Manhattan deliciously crunchy sourced peanuts are smothered in high quality dairy milk chocolate. 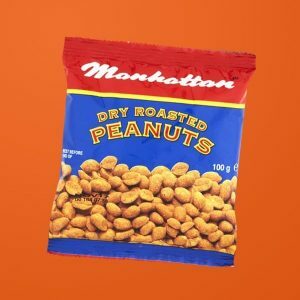 Packed with nutrients and taste, they are high in fibre and a good source of protein but one word to the wise before choosing our chocolate peanuts: they are downright addictive! Comes in a Case of Ten 500 Gramme Packets.